What a lovely day we enjoyed last Saturday May 3rd. 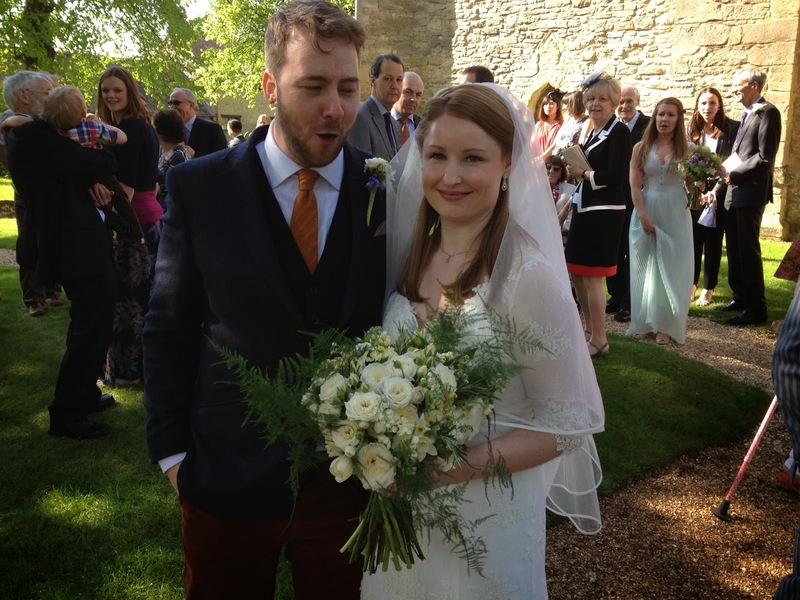 The sun shone on our beautiful daughter Sarah as she married Owen. We had looked forward to the day for so long, and finally it was here. The service was simple and traditional, but with some lovely touches, such as the variety of musical styles, from Bach to the Proclaimers. And a very helpful short message based on the Four Loves of C S Lewis (4 'Fs'...Family, 'Fysical', Friends and Forgiving love), excellently presented by the pastor of our church (Grace Community Church), Ray Evans. 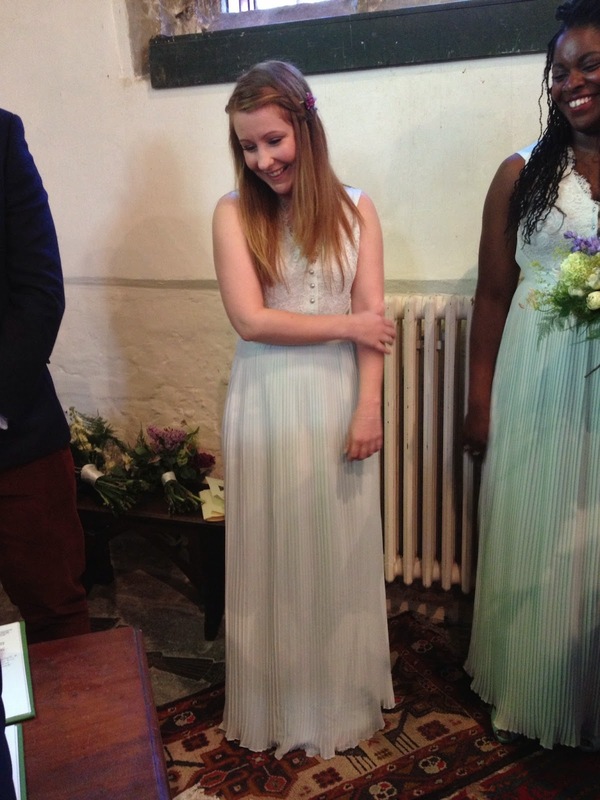 It was a joy that our other daughter Hannah was maid of honour and looked so lovely with her fellow bridesmaids, Beth and Althea. The morning at home had been such fun with Sarah and the bridesmaids plus my wife Biddy getting ready with the help of hairdressers, a make up 'artist' and the photographer Sam. I was just a spare penny wandering around doing odd jobs. We were naturally anxious about the weather, especially as the reception was held in a marquee beside the River Ouse in the grounds of Bromhall Hall. As it happened the weather was perfect and it was a truly wonderful time. Thou who hast given so much to me. Give one thing more, a grateful heart. For Christ's sake.